Taunts are a silly yet fun addition to TF2 that have have grown more and more pernicious as time goes on. Nowadays they’re hard to avoid with very attention-drawing musical jingles, unusual effects, and contagious dances. But like everything other seemingly-pointless just-for-fun game mechanic, I’m here to nitpick the hell out of the entire concept, wringing out every possible competitive advantage. And I’m not talking about intended effects like taunt kills. Picture by lord_beklanaze. 1. Generic all-purpose third person. The first and most obvious, taunts give you an ability to look around corners and get a more broad screenshot of the map around you, with the only downside being the few seconds of vulnerability while you do it. Once upon a time this was used constantly by Demomen, standing in the high-five taunt and watching sticky traps from a place of complete safety, but Valve patched that out. Still, there are plenty of situations where it can be useful to look around a corner without exposing your body to the enemy. 2. Bait spies to their death. This trick is very situational and only works once against a spy with any level of intelligence, but it’s pretty damn funny when you pull it off. 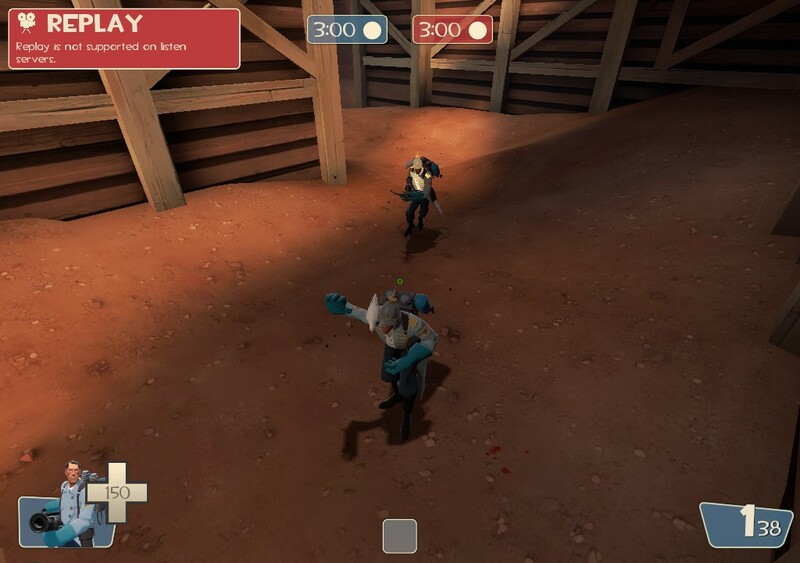 If you’ve just killed a Dead Ringer spy, or if you just know there’s one nearby and you’re otherwise in a position of complete safety, use a cancelable taunt like High Five! and rotate the camera 180 degrees. He has no idea you’re staring right at him, and if he goes for the backstab you can instantly cancel the taunt and treat him to your own melee weapon right between the eyes. 3. Eat Your Sandvich faster. 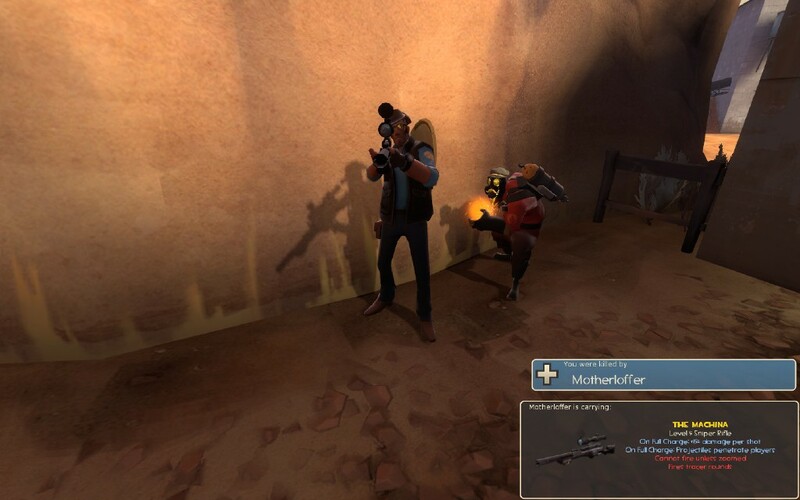 The Frankenheavy item set from Scream Fortress 2011 changes all of Heavy’s taunts to the eponymous taunt. Valve must not have noticed this also includes the Sandvich eating taunt, meaning that you can gain its healing effect in 2 seconds rather than 4. Of course, the tradeoff is that you only heal 225 hp and the server needs to be in Full mono/Halloween mode. SPUFer 1101 1100 explains why: “Deactivating any taunt cancels all horizontal momentum, this specific one also apparently cancels out vertical momentum.” It’s so nice having people smarter than me in the forums explaining why weird taunt-related stuff happens. 5. Block objectives as box spy. This was pretty famous when it first came out, and now that most people have forgotten about this taunt’s existence it’s only more powerful. By using height, shadows and top-notch Metal Gear technology, spies can fill a truly unique form of area denial. Guess that’s another playstyle exclusively for horrible spies! Is this stuff OP? Nah. Is it fair that premium players can do all this stuff while F2P can’t? Nah. But ultimately I can’t be too miffed since most of these are simply good fun, plus using a taunt has inherent downsides to performance. I know my TF2 wouldn’t feel complete without being able to go Solid Spy on cp_steel and block the third capture point indefinitely. Ultimately you’re not going to redefine the meta with these, but they can all open some pretty interesting avenues for the player willing to think outside (or inside) the box.